Author note: To save time, purchase a premade yellow curry sauce from your local market. To make more rich and flavorful add a few tablespoons of coconut milk. 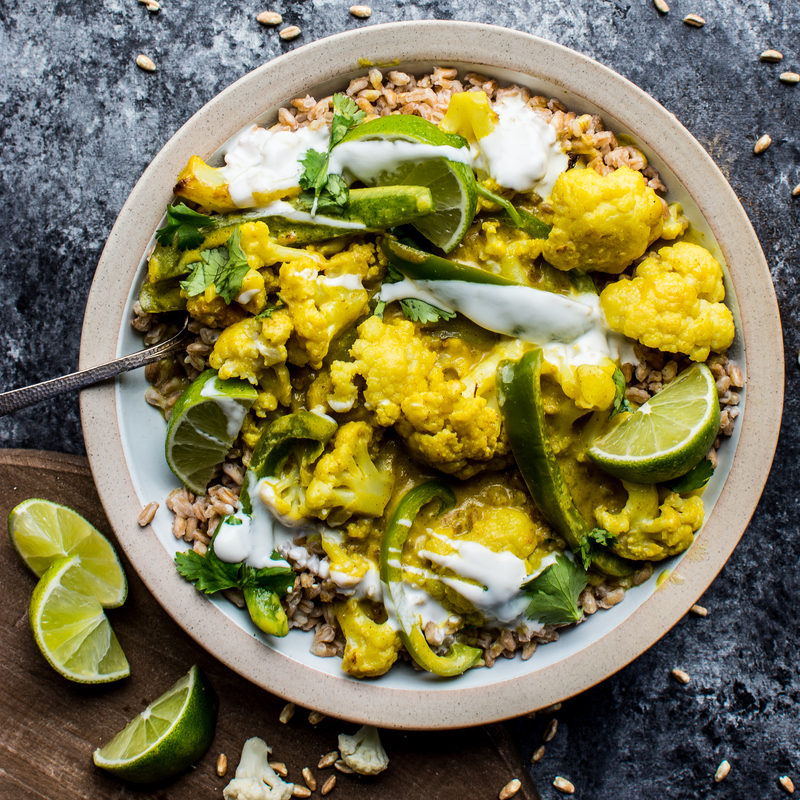 If you are not planning to save half of the roasted cauliflower (as instructed to in the recipe) and would like to make a large batch of yellow curry cauliflower, double the curry sauce. The measurements would be: 1/2 cup yellow curry paste, 1/2 cup water, 3 cups coconut milk, 2-3 teaspoons sugar (adjust to taste). Keep in mind that curry pastes vary on salt and sugar content. When in doubt, always start with mild seasoning and adjust the seasoning as you cook (and taste!). Line a rimmed sheet pan with foil. Place the precut cauliflower onto the sheet pan (breaking up any large pieces). Top with oil and salt. Toss. Cover the top of the sheet pan with foil and crimp the edges around the sheet pan to create a steaming pocket. Cook for 8 minutes. In a small saucepan add the yellow curry paste, water, coconut milk and sugar. Stir and bring to a simmer. While waiting for the curry to simmer, slice the bell peppers and add to the curry once simmering. Place cooked farro (or rice) into bowls top with curry cauliflower, cilantro and a squeeze of fresh lime juice. Season to taste. This entry was tagged 15 minuted curry, A Pleasant Little Kitchen caulifwer, A Pleasant Little Kitchen curry cauliflower, cauliflower curry, curry cauliflower, curry cauliflower easy, dallas food blog, easy curry, quick curry, thai cauliflower, vegetarian curry, yellow curry cauliflower. Bookmark the permalink. OMGosh! I wanted some curry flavor and found this recipe. 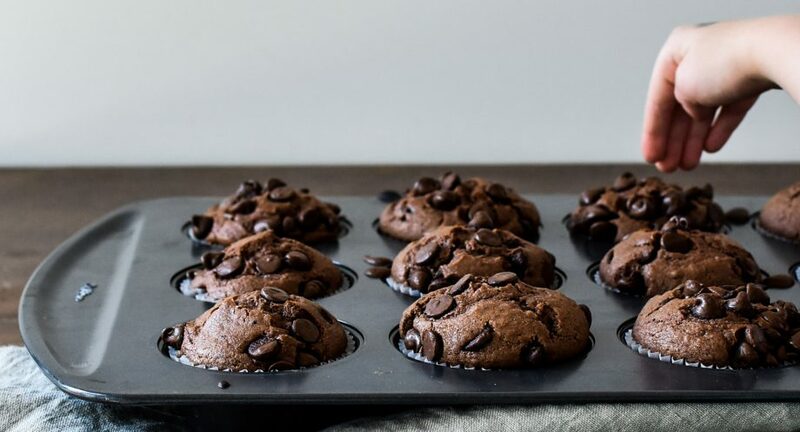 So amazing, my mouth was watering when I saw the pic and even more when I took the 1st bite. Thank you! You’re so welcome! I am so happy to hear you enjoyed it!